Starring: Leonardo DiCaprio, Kate Winslet, Kathy Bates, Michael Shannon, Katherine Hahn, Dylan Baker, David Harbour, Jay O. Sanders, Richard Easton, Max Casella, Zoe Kazan, Ryan Simpkins, Ty Simpkins. “Titanic” in 1997 was the last time Leonardo DiCaprio & Kate Winslet were in a film together. It was also the last time I literally chuckled my way through, what was supposed to be a serious film. 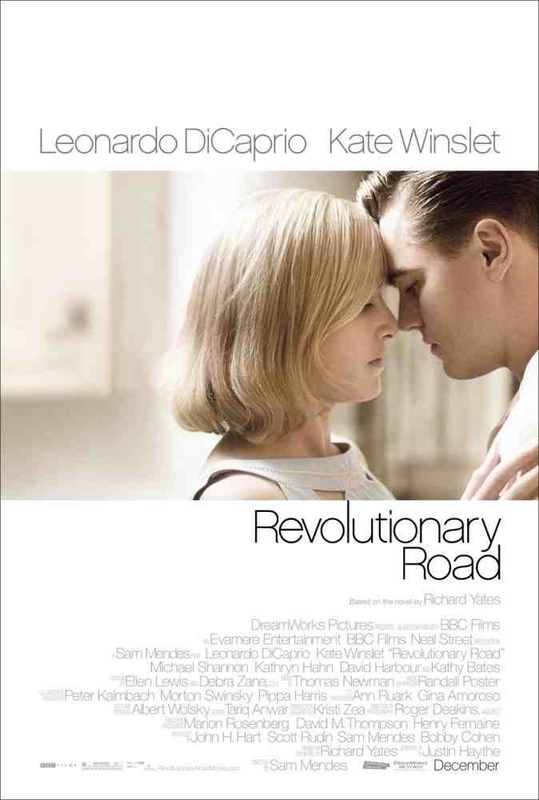 “Revolutionary Road”, brings them together again and a chuckle was the last thing on my mind. This is a very serious and astute look at the breakdown of relationships from director Sam Mendes. Frank and April Wheeler (DiCaprio & Winslet) are two young lovers who have aspirations to move to France and lead the exciting lives they always dreamed of. That is, until April becomes pregnant and they both decide to put their dreams on hold and move into a nice suburban home on Revolutionary Rd, to start their family. Years later, Frank is still working in a job he hates and April is the stay at home mother/wife that she never wanted to be. They both find that their lives have not worked out the way they planned and they have become the very people they hate. This causes obvious resentment and continuous arguments between them, which build to devestating and shattering results. Mendes has covered this territory before with his Oscar winning look at the underbelly of white picket-fence suburbia in “American Beauty”. However, this time he chooses to cut out the moments of humour and moments of beauty from that film and goes straight for the jugular here. 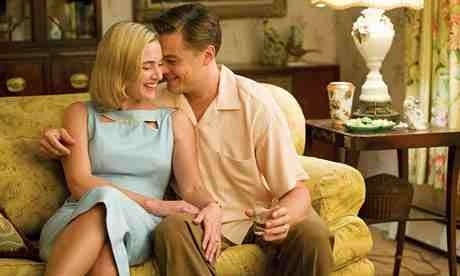 DiCaprio and Winslet have rarely been better. Their performances are an absolute knockout, each giving as good as the other. Their scenes together when arguing are electric and entirely convincing with both spouting such venom toward each other. The whole look of the film is spot on with wonderful cinematography, perfectly capturing the 1950’s era in which it’s set. This film was shamefully ignored come Oscar time, receiving only a couple of nominations but it’s worthy of so much more. If you want real drama, forget the dire “Titanic” and watch this painful and savage look at the anatomy of a relationship. This entry was posted on January 24, 2012 at 2:32 pm and is filed under Drama with tags 2008. You can follow any responses to this entry through the RSS 2.0 feed. You can leave a response, or trackback from your own site. This is one of the most underrated movies I’ve ever seen. People say I’m crazy for liking this better than Titanic, glad to see someone who thinks the same. I absolutely loved this film. It’s no secret that I detest Titanic so for me there is no comparison. This is very underrated indeed. Don’t know if you read much, but the source novel, Revolutionary Road by Richard Yates is certainly worth the time. As are his other works, to be honest. I so like a good read but I haven’t read any of Yates’ stuff. I’d be interested in checking him out but the source novel of this might be a little too bleak forms to get through. Still, the film was marvellous. It’s bleak in content, yes. Yates has little good to say about his own characters, so he captures all their bad points. But his prose zips along making him a very enjoyable read. Yeah, I may give Yates a go at some point. I’ve managed to read Dostoyevsky so I’m sure I could handle it.